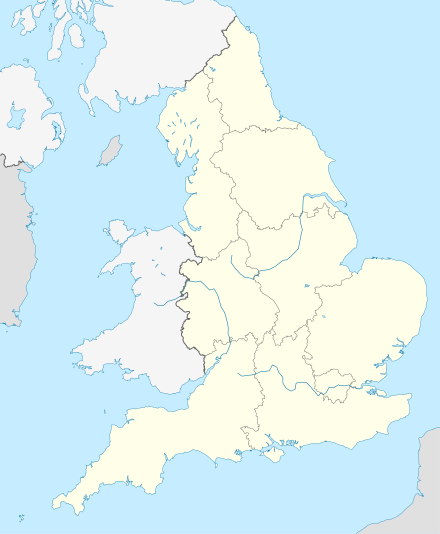 The 2015–16 Football League One (referred to as the Sky Bet League One for sponsorship reasons) was the 12th season of the Football League One under its current title and the 23rd season under its current league division format. The season began on 8 August 2015, and concluded on 8 May 2016. The following teams have changed division since the 2014–15 season. ^ Bury were deducted 3 points for playing the unregistered Callum Styles against Southend United on 8 May. ^ "Sheffield United 3–1 Bradford City". BBC Sport. Retrieved 28 February 2016. ^ "Rochdale 1–0 Fleetwood Town". BBC Sport. Retrieved 28 February 2016. ^ "Football Ground Guide". Football Ground Guide. Retrieved 9 May 2015. ^ "Lee Clark leaves Blackpool". BBC Sport. Retrieved 9 May 2015. ^ "Blackpool: Neil McDonald named Seasiders manager". BBC Sport. Retrieved 2 June 2015. ^ "Portsmouth appoint Chesterfield boss as manager". BBC Sport. Retrieved 12 May 2015. ^ "Dean Saunders: Chesterfield appoint interim Crawley boss". BBC Sport. Retrieved 13 May 2015. ^ "Nigel Clough: Sheffield United sack manager". BBC Sport. Retrieved 25 May 2015. ^ "Adkins appointed". Sheffield United. 2 June 2015. Retrieved 2 June 2015. ^ "Dave Robertson: Peterborough United sack manager". BBC Sport. Retrieved 23 September 2015. ^ "Graham Westley: Peterborough United name ex-Stevenage boss". BBC Sport. Retrieved 23 September 2015. ^ a b "Paul Dickov: Doncaster sack manager after poor start to season". BBC Sport. Retrieved 20 April 2018. ^ a b "Oldham Athletic: David Dunn replaces sacked Darren Kelly". BBC Sport. 13 September 2015. Retrieved 13 September 2015. ^ "John Sheridan: Oldham reappoint Newport County manager". BBC Sport. Retrieved 16 March 2016. ^ "Lee Johnson: Bristol City appoint Barnsley boss as head coach". BBC Sport. Retrieved 16 March 2016. ^ "Sean O'Driscoll: Walsall part company with head coach after 16 games". BBC Sport. Retrieved 16 March 2016. ^ "Walsall: Jon Whitney to take charge following Sean O'Driscoll sacking". BBC Sport. Retrieved 16 March 2016. ^ "Graham Westley: Peterborough United part with manager". BBC Sport. Retrieved 24 April 2016. ^ "EFL Statement: Bury deducted 3 points for fielding ineligible player". EFL. 1 July 2016. Retrieved 1 July 2016. ^ "Dean Smith named Sky Bet League 1 Manager of the Month". The Football League. Retrieved 28 February 2016. ^ "Adam Armstrong named Sky Bet League 1 Player of the Month". The Football League. Retrieved 28 February 2016. ^ "Jimmy Floyd Hasselbaink named Sky Bet League 1 Manager of the Month". The Football League. Retrieved 28 February 2016. ^ "Peter Vincenti named Sky Bet League 1 Player of the Month". The Football League. Retrieved 28 February 2016. ^ "Mark Robins named Sky Bet League 1 Manager of the Month". The Football League. Retrieved 28 February 2016. ^ "Aiden O'Brien named Sky Bet League 1 Player of the Month". The Football League. Retrieved 28 February 2016. ^ "Graham Westley named Sky Bet League 1 Manager of the Month". The Football League. Retrieved 28 February 2016. ^ "Jacob Murphy named Sky Bet League 1 Player of the Month". The Football League. Retrieved 28 February 2016. ^ "Nigel Adkins named Sky Bet League 1 Manager of the Month". The Football League. Retrieved 28 February 2016. ^ "Andy Williams named Sky Bet League 1 Player of the Month". The Football League. Retrieved 28 February 2016. ^ "Lee Johnson named Sky Bet League 1 Manager of the Month". The Football League. Retrieved 28 February 2016. ^ "Sam Winnall named Sky Bet League 1 Player of the Month". The Football League. Retrieved 28 February 2016. ^ "Gary Caldwell named Sky Bet League 1 Manager of the Month". The Football League. Retrieved 13 March 2016. ^ "Jordan Archer named Sky Bet League 1 Player of the Month". The Football League. Retrieved 13 March 2016. ^ "Paul Heckingbottom named Sky Bet League 1 Manager of the Month". The Football League. Retrieved 19 April 2016. ^ "Sullay Kaikai named Sky Bet League 1 Player of the Month". The Football League. Retrieved 19 April 2016. ^ "Graham Alexander named Sky Bet League 1 Manager of the Month". The Football League. Retrieved 8 May 2016. ^ "Will Grigg named Sky Bet League 1 Player of the Month". The Football League. Retrieved 8 May 2016.